This site is called Gordon's Calvary because in 1883 British General Charles Gordon suggested that this outcropping of rock just across the street from the north city wall was Golgotha, the Place of the Skull. The proposal that this was the original Calvary gained some momentum since a garden tomb had been found near this location in 1867. This site soon began to challenge the legitimacy of the Church of the Holy Sepulcher as the location of Jesus’ crucifixion, burial and resurrection. This is an interesting location but there are many reasons why it cannot be the actual site. Notice the impression of a face that can be seen in this rock: the two eye sockets in the middle of the photo with the forehead above, and the bridge of the nose below. a sarcophagus to bury their dead. Even the Christian Crusaders used this site as a stable. Notice the burial bench was carved away by the Byzantine Christians to create a rock sarcophagus. Galyn steps out of the Garden Tomb. One of the reasons this site is promoted by Protestant groups and receives attention in Protestant Bible dictionaries, atlases, and other study books is because the Protestants are newcomers to Christianity and have no designated place in the Church of the Holy Sepulcher. Protestant groups did not emerge from the Roman (Latin) Catholic branch of church history until the 1500 and 1600’s, long after the church building was controlled by six ancient Christian “denominations” powerful in the Eastern World – Latin Catholic, Greek Orthodox, Armenian, Syrian, Coptic, and Ethiopian. 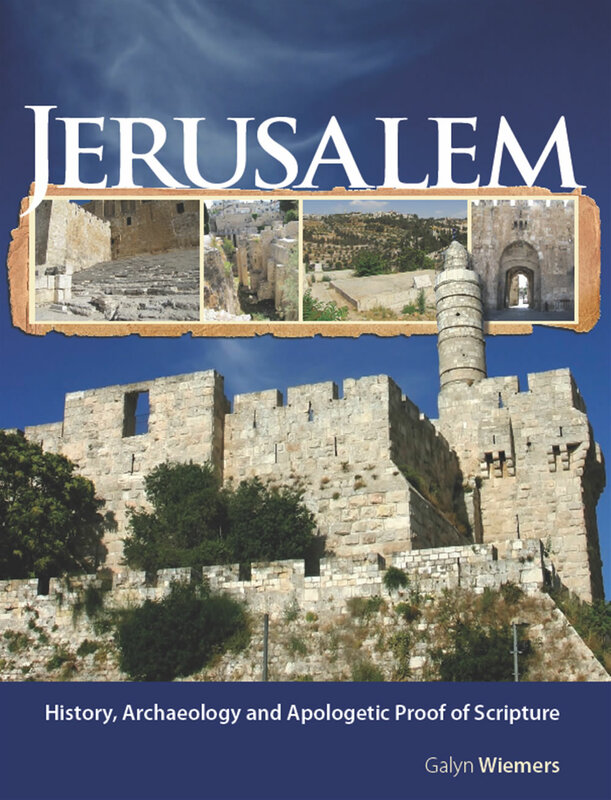 In fact, many Protestant churches show no interest in Jerusalem or the Holy Land at all. Nonetheless, the Garden Tomb is not the original site of Jesus’ burial and resurrection. There is no reason to even consider this location, other than the fact that it is a tomb outside the walls of Jerusalem. But then, there are hundreds of tombs outside the walls of Jerusalem, many with outcroppings of rock near tombs set in ancient gardens. This site is interesting, but it is not unique.